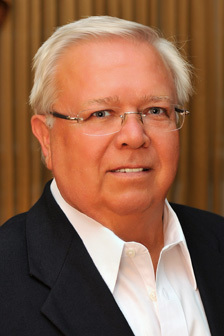 Originally from Michigan, Bill Nimz has an extensive history with Florida’s Gulf Coast, having spent his childhood vacationing on Lido Beach before permanently relocating to the area in 1982. Since this time, he enjoyed residency in Treymore of Palm-Aire, Deer Creek and Forest Lakes, where he developed a wealth of community knowledge. A graduate of Michigan State University, Bill brings a lengthy back... more.ground in restaurant management, which helped him work with and satisfy the unique needs of a diverse group of people. This experience made his transition to the real estate industry a smooth progression, as he entered the profession as a commercial appraiser in 1992. In 1994, Bill joined his wife, Judy, as a residential property sales specialist. As a Realtor, Bill provides his clients with an advanced level of area familiarity, which extends to the many waterways that grace our communities. In his spare time, Bill enjoys boating Sarasota Bay and Gulf of Mexico waters. ...less. Judy Nimz is a gem! She found us our home, my Mother-in-Law's home, and a vacation rental all in the past year. She is very professional and knowledgeable. Judy is our Google! We trust her opinion so much, that we turn to her for advice more often that we should. When Judy is booked, Bill has jumped in to help by showing us properties as well. He is every bit as helpful and professional. We truly enjoy working with them both. I cannot say enough about the good fortune that connected my husband and me to your firm and to Judy Nimz. We were recommended to her through a mutual friend (who also had been Judy's client) and she helped us find the perfect house for our retirement. From connecting us to your mortgage professionals and to your rental management office, we were in good shape when we closed and leased the property to tenants for one year before moving. I really do believe that the level of service you aspire to is all accomplished and exemplified by Judy Nimz, and I could not be more pleased to send you these words of commendation. I wanted to personally thank you for the job your agents Judy and Bill Nimz have done with the listing of my home. You gave me their names when you spoke at our luncheon. They have produced an offer for my home which I have accepted!